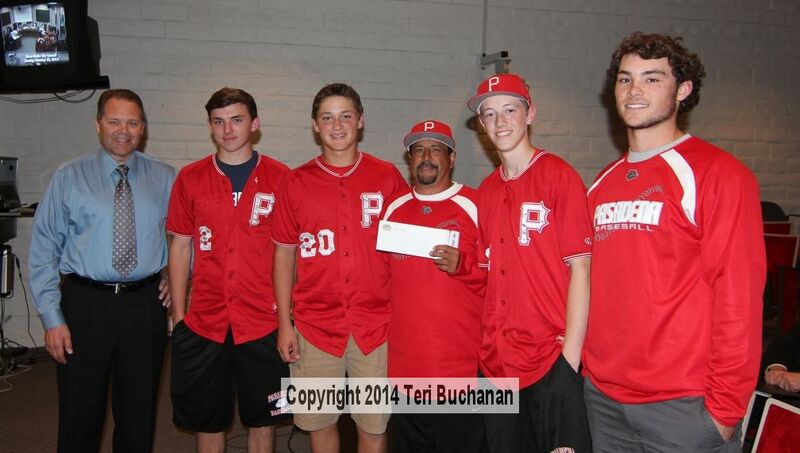 Posted 3/1/14 – At the Feb. 25th meeting of the Sierra Madre City Council, the Sierra Madre Police Officers’ Association, represented by its President, Ed Delcoure, made a presentation of a check for $500 to the Pasadena High School baseball program. The varsity baseball coach, Jaime Guzman and several players were on hand to accept the check on behalf of the program. Thanks to Teri Buchanan for sharing her photo of the presentation.